Sulawesi, Indonesia, is home to many species found nowhere else on Earth. Although rich in biodiversity, Sulawesi has only two endemic turtles: the Endangered Forsten's Tortoise and the Critically Endangered Sulawesi Forest Turtle. We propose to conduct surveys to determine current population sizes and distributions of these turtles, initiating a long-term project to support turtle conservation, graduate research education, citizen science, capacity building, and community-based awareness. Turtles are one of the most endangered group of vertebrates, with more than half of the species threatened with extinction. This situation is largely overlooked in the worldwide conservation community due to the fact that turtles are reptiles rather than the typically "cute and cuddly" icons revered in popular culture. Despite being listed in the top 25 most endangered turtles and tortoises and considered by many to be among the rarest tortoises in the world, the Sulawesi Forest Turtle and the Forsten’s Tortoise, respectively, are not well studied with little known about basic wild ecology. Lack of research or conservation efforts are steering these two species toward extinction. 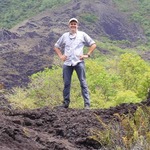 Our project is an important first step toward effective conservation strategies. Habitats that once held many turtles have undergone illegal logging and conversion to agriculture. There, turtles have been targeted for both the pet trade and for human consumption. 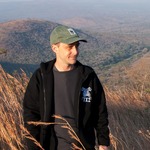 These factors led to the current conservation listings, but there are no significant efforts to research and protect the animals in their home country. Our proposed project will be based in sound science; conducting surveys to update status and distribution, documenting ecological data, collecting physiological and genetic samples throughout the range of these understudied species. Our findings will contribute to longer-term programs which include the identification of land preserves, development of captive breeding programs, and building of assurance colonies. Our initial priority is to carry out population surveys to assess the current distribution and densities of these imperiled turtles. With Indonesian university students and resident community members to assist, we will conduct range-wide surveys while training the students and facilitating the development of scientific and field skills necessary for a successful long-term project. Long-term, the locally-involved project will comprise a monitoring program to be carried out by the students and community members and supported by international partners (like you!). Through this campaign, we intend to raise the funds to purchase the necessary field supplies and processing equipment to initiate these primary, much-needed field surveys and help develop the skills of partners for the future. In order to successfully carry out surveys and initiate the longer-term project, we need survey equipment (GPS units, weather meters, write-in-the-rain notebooks and pens, digital cameras, and basic personal field equipment such as backpacks, water bottles, clip boards, rain coats, etc.) for local students and volunteers in training. To maximize our effectiveness and collect as much data as possible on individual animals, including genetic, demographic, disease, and health assessments, alongside initiating the longer-term monitoring (growth, health, tracking) project, we will be recording morphometric data (weights, measurements), tissue sampling, and individually marking animals. For those efforts we need files, pit tags, scales, calipers, temperature loggers, sterile sampling items (syringes, swabs, tubes, dewar, etc.). These data will assist in the initial assessment of current status and distribution and be used to inform potential future reintroduction efforts. This is an important project focusing on two species in need of attention. The researchers understand the importance of combining scientific methods, capacity building, citizen science and collaboration with like minded people and organizations to ensure the success of this initiative. They not only exhibit the experience and knowledge, but also the passion and drive to make this happen. The project will work to protect these two understudied and declining chelonian species, but also draw much needed attention to the amazing island of Sulawesi. I wholeheartedly endorse and encourage full support of this much-needed work on Sulawesi. These range-limited endemic chelonian species are being heavily impacted by multiple threats and are facing increasing levels of endangerment. Both of the researchers are well known to me and they bring high levels of professional field experience and personal passion and drive to the table. Their efforts on behalf of these endangered turtles and tortoises are desperately needed and will also help mobilize and inspire local biologists and conservationists. This project is the culmination of years of preparation and relationship-building run by some of the top turtle and tortoise conservation experts in the world. The results will launch a new wave of biodiversity conservation in Sulawesi, which has recently fallen off the radar of most larger international conservation groups and is in desperate need of renewed energy. I strongly endorse this project. I received my Bachelor's Degree in Psychology from Baruch College in NYC. After graduating, I moved to Southern California and switched my focus to Marine Biology. While in California I worked as an Aquarist in the aquarium industry, working with many different species of marine fish, sharks, and invertebrates. After moving to Denver, I worked as the Assistant Curator of Fish, Invertebrates, and Herps at the Downtown Aquarium. While there, i worked with a variety of freshwater turtle species and successfully rehabbed a sick Painted Terrapin. 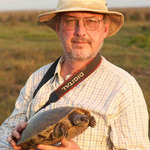 That experience inspired me to want to do conservation work with freshwater turtles and tortoises. Returning to Southern California, I spent three years at the Turtle Conservancy's (www.turtleconservancy.org) conservation and captive breeding facility, where I had the opportunity to work with some of the world's most critically endangered turtles and tortoises in a ex situ environment. I am also the former SSP Coordinator and AZA Regional Studbook Keeper for the Forsten's Tortoise. 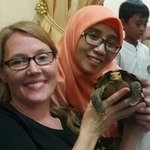 (SSP Program; AZA Regional Studbook Program) I am now partnering with the Turtle Survival Alliance (www.turtlesurvival.org) to continue the research and conservation efforts focused on the two endemic chelonians of Sulawesi. Let's Save the Endemic Turtles of Sulawesi! Hey! We have another Project Update!